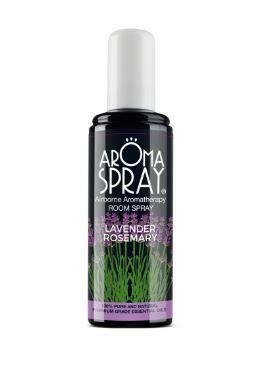 Aromatherapy room spray. 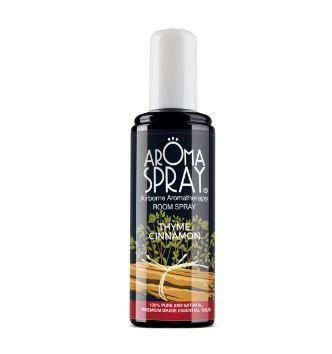 New to the UK, these sprays are extremely popular in France with over 300,000 being sold per year. The Aromaspray naturally deodorises, and purifies your environment by enhancing it only with a unique selection of evocative scents based on Aromatherapy and made with essential oils. Incomparably subtle and aromatic it leaves your environment with a fresh-clean, lasting scent. 100% natural, any of the room sprays are good for general health, the family home, office, hotel rooms, restaurants, kitchens, toilets, or the car. They are made of a synergy of 2 major essential oils, which were carefully selected for their beneficial actions. Unlike any other air fresheners on the market, you discover that Aromaspray® is indeed a breath of fresh air! It instantly eliminates all odours and provides a unique olfactory experience. Spray, pointing to the ceiling into any room or area to freshen. Fully air the room after spraying. 1 spray is suggested per area of 10m³. Do not use near children under 3 or pregnant and breastfeeding women. Lavender Rosemary - Lavender essential oil is used for its relaxing properties known to regulate the nervous system, but especially for its beautiful, fine and delicate smell that embalms with the Provençal atmosphere. Rosemary Essential Oil is traditionally used for its stimulating and invigorating properties. The LAVENDER ROSEMARY formula purifies the air while creating a wonderfully unwinding Provencal atmosphere around you. Lemon Cedar - Lemon Essential Oil is is known for antibacterial and focus-improving properties. Cedar Essential Oil is obtained by steam distillation of Virginian Juniperus, a Pinaceae family tree found in the United States. Cedar wood was widely used by the Egyptians for the embalming of mummies, and today for its relaxing and respiratory properties. 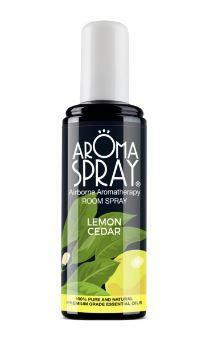 The LEMON CEDAR formula, creates a fresh and dynamic atmosphere while purifying any environment. Citrus and woody. Ingredients: ethanol (71% v/v), essential oils: basil, cedar, lemon, sweet orange, grapefruit, patchouli. Orange Palmarosa - Orange Essential Oil is extracted from fresh orange fruit zest of the Rutaceae family originated from Italy, Florida and California. It is used for its sedative, soothing and calming properties. Palmarosa Essential Oil is extracted from the leafy plant of the Poaceae family growing mainly in India. It is used for its antibacterial, antifungal and antiviral properties. 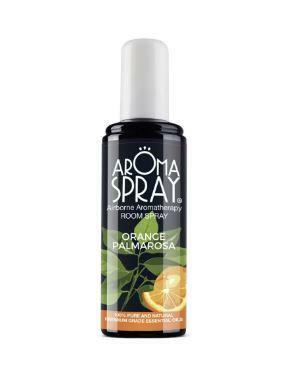 The ORANGE PALMAROSA formula enhances wellbeing by creating a relaxing atmosphere and a rejuvenation effect. A beautiful citrus orange aroma. Ingredients: ethanol (71% v/v), essential oils: sweet orange, Palmarosa, shiu wood, geranium. Contains: dl-limonene(racemic), linalool, geraniol, citronellol, geranyl acetate. Thyme Cinnamon - Historically, Thyme essential oil has been used to help ward off bacteria and viruses. Cinnamon Oil is warming, stimulating and energizing. The THYME CINNAMON formula - brings a powerful fresh scent which stimulates breathing. A warming scent reminiscent of cloves. Ingredients : ethanol (71% v/v), essential oils: cinnamon, eucalyptus, lavandin, peppermint, wild thyme, rosemary, turpentine, thyme, sweet orange. Contains: linalool, dl-limonene(racemic), menthone, alpha-pinene x, caryophillene, eucalyptol, cinnamaldehyde. Mint Eucalyptus - Peppermint Essential Oil is extracted from the herbaceous perennial plant of the Labees family originating in multiple regions of France, Italy and United States. It is traditionally used for its refreshing properties as well as its well being effects. Eucalyptus Essential Oil is extracted from the leaves of the Myrtaceae family tree, originating in Australia and growing in the Mediterranean basin. Throughout the history, the Ancient people burned the leaves of Eucalyptus to prevent infectious diseases and disinfect places. It is traditionally used for its respiratory antiseptic properties. 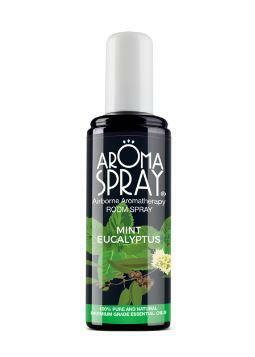 The MINT EUCALYPTUS formula – purifies the air by creating a fresh and distinctive atmosphere. Ingredients; ethanol (71% v/v), essential oils: cinnamon, eucalyptus, lavadin, peppermint, wild thyme, rosemary, turpentine, thyme, sweet orange. Contains: linalool, geraniol, geranyl acetate, di-limonene (racemic), citronellol, cintronella, eucalyptol, menthone.